“So You Want to Be a Chaplain/Counselor” is a new audio story series from CBF Chaplaincy and Pastoral Counseling. Have you ever wondered what it takes to become a chaplain or pastoral counselor? What training is needed? What is a typical day like? What do chaplains & counselors find fulfilling in their ministry? Hearing someone else’s journey may aid you in your own discernment about pursuing pastoral counseling or chaplaincy ministry. 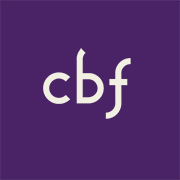 Now you can stream below and listen on Soundcloud to "CBF Stories." C.H. 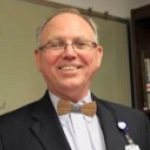 “Skip” Wisenbaker is a staff chaplain at Children’s Healthcare of Atlanta. He has many years of chaplaincy experience in a variety of settings. 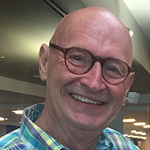 Skip is a Board Certified Chaplain through the Association of Professional Chaplains. He holds the M.Div. 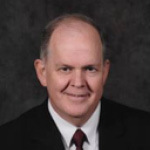 degree from Southwestern Baptist Theological Seminary and he has completed 8 Units of Clinical Pastoral Education. Daniel A. Shadix served as a chaplain with the Department of Veteran’s Affairs for 16 years. He retired in 2017 as Director of Chaplaincy Services for the VA Medical Center in Kansas City, MO. Daniel received his M.Div degree from Southern Baptist Theological Seminary and he has a Doctor of Ministry from Drew University. Rev. 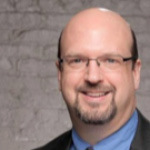 David Johnson is currently serving as Pastor of Overland Baptist Church in St.Louis, MO. He has also served as a Hospital Chaplain. David serves on the CBF Council on Endorsement. 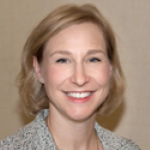 Joanna Tarr is a Certified Pastoral Education Candidate at St. Luke’s Healthcare in Kansas City, MO. She is also a Chaplain in the U.S. Navy Reserve holding the rank of Commander. Joanna did her theological studies at Baptist Theological Seminary of Richmond where she received the M.Div. She also completed 4 Units of Clinical Pastoral Education prior to beginning her training as a Certified Pastoral Educator. 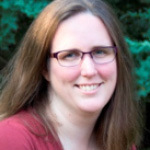 Kelley Woggon is Director of Pastoral Care for Norton Healthcare in Louisville, KY. Kelley earned the M.Div degree at Southern Baptist Theological Seminary and she has completed 4 Units of Clinical Pastoral Education. 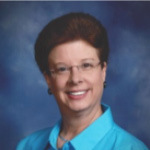 She is a Board Certified Chaplain through the Association of Professional Chaplains. 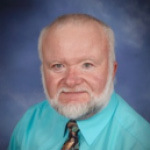 Robert L. Cooke is a Pastoral Counselor with Triangle Pastoral Counseling in Raleigh, NC. He is also a member of the N.C. Board of Fee Based Practicing Pastoral Counselors. Robert received his M. Div from Southeastern Baptist Theological Seminary and a D.Min from Columbia Theological Seminary. He has 6 Units of Clinical Pastoral Education and he received 3 years of supervision through the Care and Counseling Center of Georgia. To ensure the privacy of her parishioners this chaplain felt it prudent to remain Anonymous. She works as a Correctional Chaplain with youth and young adults in a State facility. She is a graduate of Candler School of Theology at Emory University. She has completed 3 Units of Clinical Pastoral Education. Stephanie McLeskey is University Chaplain at Mars Hill University in N.C. She holds both her B.A. and M.Div from Emory University. Prior to serving at Mars Hill she was a part time campus minister at the University of Georgia. 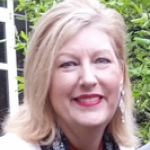 Patricia Baldwin is a Chaplain with Trinity Terrace Retirement Community in Ft. Worth, TX. 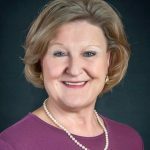 She holds both an MA in Religious Education from Southwestern Baptist Seminary as well as a Master’s Degree in Counseling from the University of North Texas. She also completed a CPE Residency at Harris Methodist Hospital in Ft. Worth. She has been endorsed chaplain with the CBF since 2004. 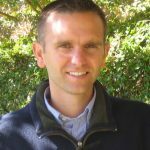 Chris O’Rear is a Pastoral Counselor at the Counseling Center of Belle Meade United Methodist Church in Nashville, TN. He is a Licensed Clinical Pastoral Therapist in the State of Tennessee. He holds Master’s degrees from both Southern Baptist Theological Seminary and Trevecca Nazarene University. 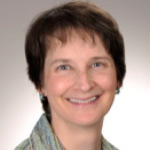 Debra Walters is Chaplain and Spiritual Care Coordinator with AseraCare Hospice in Atlanta, GA. She has her M.Div and D. Min degrees from the McAfee School of Theology. 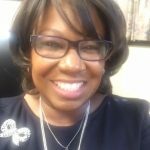 She is a Board Certified Chaplain with the Association of Professional Chaplains and she has completed 9 Units of Clinical Pastoral Education. Debra also serves as Associate for Health Care Chaplaincy with the Cooperative Baptist Fellowship. 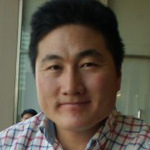 Younsoo Park is an Active Duty Chaplain in the U. S. Army. He holds degrees from DONG-A University in Pusan, South Korea; a Master’s Degree from Texas A & M and the Master of Divinity degree from Campbell University Divinity School. Chaplain Park was endorsed by the CBF in 2012 and has served in the U.S. Army since 2013. Grace Powell Freeman is currently in a yearlong chaplain residency program at Children's Healthcare of Atlanta, serving at Scottish Rite Hospital. Before this residency she completed a chaplain internship at Emory/St. Joseph hospital. Grace is a graduate of The Southern Baptist Theological Seminary holding a Master of Divinity degree. Luke Langston is a Staff Chaplain with the Federal Bureau of Prisons. He serves at the Federal Correctional Complex in Butner, N.C. Luke is a graduate of Flagler College and Gordon Conwell Seminary. He served as a Youth Minister on church staffs in Florida and North Carolina for 13 years before becoming a Prison Chaplain.  Luke has been endorsed by the CBF since March 2009. Rev. Cecelia Walker is Director of Pastoral Care for Princeton Baptist Medical Center and Director of Clinical Pastoral Education for the Baptist Health System in Birmingham, Ala. She is a native of Birmingham, a 1977 graduate of Parker High School, earned a bachelor's degree in human resources management from Birmingham-Southern College in 1993, a Master of Divinity degree in 1998 from Samford University's Beeson Divinity School and a Doctorate in 2007 from the Interdenominational Theological Center Morehouse School of Religion. 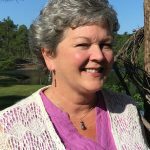 Layne Rogerson serves as Chaplain at McLeod Hospice in Cheraw S.C. She earned a Master of Divinity from Campbell University Divinity School in Buies Creek, N.C. Prior to moving home to Cheraw, Layne served on church staff and as a hospice and community center chaplain in Eastern N.C.